Most Trusted Robina Removal Company for over 50 Years. Robina Removals experts with over 50 years experiences. We are Dons Removals And Storage. We are proud to offer all residents a local Robina removal service. We have been helping Robina families relocate for years. Don’s can get you moved into this thriving suburb with our local Robina removals service. We specialise in moving you from one suburb to another. Dons removals is excited to offer all new and existing residents alike… A premium Robina removals services for all of your removal needs. No removal job is too big or too small. Whether it’s a one bedroom unit, a four bedroom house, commercial office or High Rise. Don’s removals can handle all your moving and relocation needs. Our high level of removalists experience will make you feel at ease. 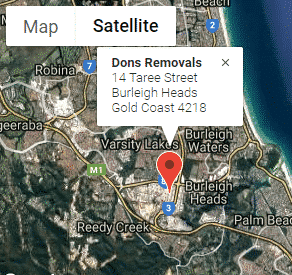 When you think of Robina removals… Think of Don’s Removals and Storage Gold Coast. Robina Removals Services. Due to popularity and growth. Robina is one of the primary areas for newly developing communities. 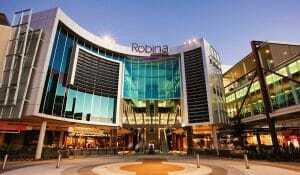 Robina is close proximity to Robina Town Center. Bond University in Varity Lakes and some of the best junior and senior schools on the gold Coast. Not only is the Gold Coast Titans Rugby League close by, but Robina offers some of the best pooch parks. Which is why so many families and businesses are relocating to Robina. Whether you are looking to start out. Grow your family or move towards retirement. Robina has something to offer you and your family. Simply pack up your valued household items before the move and our team will show up promptly at the assigned time. We will do all the heavy lifting and securely transport your possessions with great care. We can move your heaviest furniture right through to your smallest delicate boxed items. Our Robina removalist team will have you loaded up in no time. Rest assured that your valued possessions are being securely transported and delivered safely. Whether you are moving to Robina, away from Robina or within Robina. Our team of Robina removalists are ready to handle all your possessions. 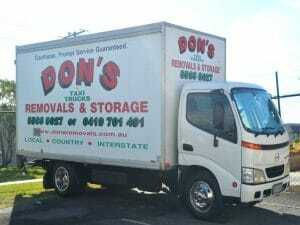 Why Use Don’s Removals & Storage For Your Robina Removals. We are a genuine local Gold Coast family business. Situated in Burleigh Heads and have been operating for over 50 years. We treat your possessions as if they were our own – with complete care. We are a friendly, reliable and trained team of experience removal professionals. We can handle any removal job size. Offering a complete removal solutions package for your specific move needs. We are committed to delivering a safe, smooth and efficient Robina removal experience every time. Secure your moving date with our Robina removalists services. We offer local Robina removal and relocations throughout the Gold Coast. Is your household in transition? Are you doing a home renovation? Are you still looking for that perfect home to move into? Have you accepted a short-term job placement? We have secure Gold Coast storage facilities. We can safely store all your family possessions until you are ready for them. We offer pickup service, as well as delivery service to and from our Gold Coast storage facility. Whether you are looking for 2 weeks to 2 years storage, our Gold Coast storage facility can accommodate you. Our storage facility is conveniently located in Burleigh Heads. Full 24 hour security with secure gated and floodlit complex. We can store cars, boats, caravans and just about anything. Find out more about our storage facilities Click Here. With so much growth happening in Robina. It is no surprise that we get a wide range of calls from customers moving into Robina. Simply find your dream home. Pack up your old home and we will move you safely and securely into the Robina community. Are you relocating to another suburb? We can help with that too. We are Gold Coast removalist experts. Let us put the fun into moving. We understand that it can be stressful and time consuming. Don’s removals and storage will put your mind at rest and securely move your stuff. While we know that everyone is talking about Robina. We know that there are lots of other popular suburbs as well. We can move your possessions on time and securely to any suburb on the Gold Coast. Looking at getting a house or an apartment. Moving out of a complex into a house. Perhaps moving from one complex to another complex. Or simply moving from one house to another house. Wanting to upsize or downsize. No matter what your Robina removal requirements are, we have you covered. We understand that people are ready for a change but want to remain in Robina. We ensure that moving your possessions are done with the upmost care. We can provide you with a full selection of packing materials. This including boxes and packaging tape. If you have any questions regarding your boxes for moving, please contact us. Our team of dedicated moving specialists can assist you with any enquiries. Dons removals is a family owned and operated furniture removal business. We move families, so why not let our family move yours. We will be honest, reliable and respectful with your stuff. We will treat your household goods as if they were our own. We have an unwavering dedication to delivering a continued superior experience. Highly Experienced and Trained Removalists. We have over 50 years experience moving families all around the Gold Coast. Our team are highly trained at moving the correct way. We are removal and relocation professionals! From the second you call us, till the very last item has been delivered. 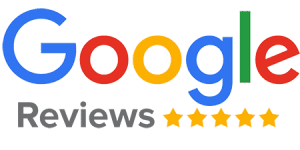 As Gold Coast removalists we are professional, efficient and friendly. With over 50 year’s experience you can rest assured that your household goods are in great hands. Our team of honest, friendly & fast removalists are ready to move you. We offer an efficient, affordable removal service all over the Gold Coast. Don’t make a move until you have called Don’s Removals & Storage. We are Robina removalists experts. Book Your Robina Removal Services Today!